Brown in the Windy City is the first history to examine the migration and settlement of Mexicans and Puerto Ricans in postwar Chicago. Lilia Fernández reveals how the two populations arrived in Chicago in the midst of tremendous social and economic change and, in spite of declining industrial employment and massive urban renewal projects, managed to carve out a geographic and racial place in one of America’s great cities. Through their experiences in the city’s central neighborhoods over the course of these three decades, Fernández demonstrates how Mexicans and Puerto Ricans collectively articulated a distinct racial position in Chicago, one that was flexible and fluid, neither black nor white. "Brown in the Windy City is an essential read." "Lilia Fernandez’s Brown in the Windy City is a rich, historically-nuanced examination of the social, political, and cultural forces that shaped the formation of Chicago’s Puerto Rican and ethnic Mexican community. In pointing our attention to this history, Fernandez’s careful examination of the process of displacement, neighborhood change, and public housing construction unveils how Puerto Ricans and, at times, Mexicans disturbed the racial hierarchy and destabilized the rigid housing color line in Chicago. 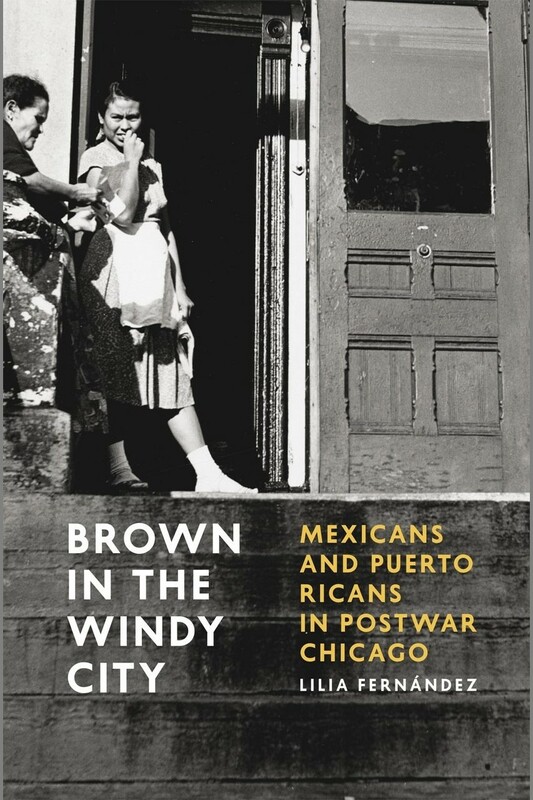 Brown in the Windy City is a valuable contribution to Latino History, urban history, and immigration history." "Brown in the Windy City portrays the struggle of Puerto Ricans and Mexicans as they made their way to a postwar Chicago already bifurcated by race. Neither black nor white, these newcomers carved an important place for themselves in the city’s social, economic, and political sphere. Their experiences both overlapped and diverged as they settled in the inner city and developed into an important component in the city’s life while struggling with unresolved issues of integration and economic development. Brown in the Windy City explores these matters in subtle and instructive ways shedding light on the immigrant experience and the development of community in an urban post-industrial setting." "This book is a crucial addition to the scholarship and a must-read for those interested in the history of urban Latinos/as in the United States, racialization of non-European immigrants, the role of Latina women in advancing the community, as well as the more general history of post-World War II America."